Police are on the lookout for an suspect who assaulted another man. Islip Terrace, NY - May 28, 2014 - Suffolk County Crime Stoppers and Suffolk County Police Third Squad detectives are seeking the public’s help to locate the men who shot a person in Islip Terrace earlier this month. Two men became involved in a verbal altercation against a third man at the Gulf gas station located at 74 Carleton Avenue, near Irving Place, in Islip Terrace, on May 2 at 12:15 a.m. Following the argument, and down the road from the gas station, one of two men shot the third man on Irving Place. One suspect is described as a black male wearing all black. The other suspect is also described as a black male wearing black pants, a white T-shirt and a black jacket with white stripes on the sleeves. 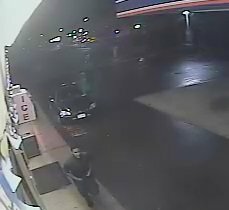 Both suspects may have fled in the silver or gray 2003 to 2007 Nissan Murano driven by black female. The victim, a 38-year-old Bay Shore man, was transported to Southside Hospital where he was treated for non-life-threatening injuries. Subject: LongIsland.com - Your Name sent you Article details of "SCPD: Man Wan Wanted for Shooting in Islip Terrace"